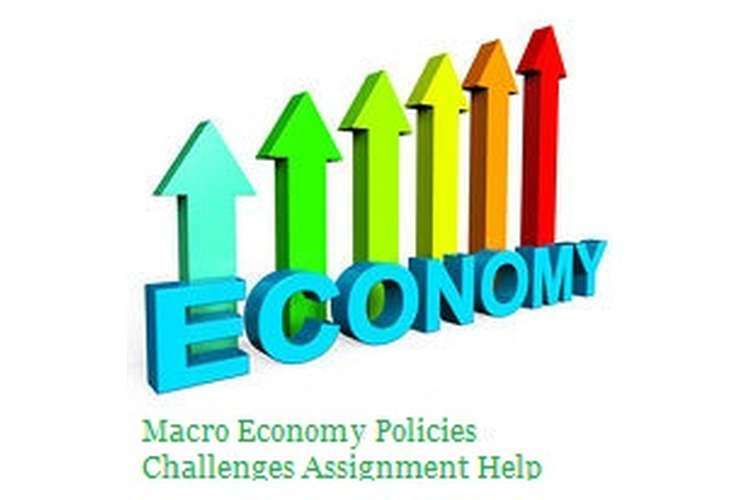 This macro economy policy challenges assignment help is concerned about the economic outlook and macroeconomic policy. It is known that the major factors of the macro-economy policy are fiscal policy, monetary policy and exchange rate policy. This study demonstrates the recent economic performance as well as the economic outlook of Australia. In this context, it is needed to estimate the approach of the government strategy to meet the recognised Australia’s domestic challenges. On the other hand, this assignment focus on the Australia's adopted macroeconomic policies and its consequences. Moreover, in case of the Australia’s current government policy, this study focus on the income tax measurement using the theory of large budget deficit (Aizenman and Shah, 2013, p. 4). Furthermore, it is explained in this case scenario is that whether lower the rate of interest then what will be the effect of the stimulation of economic activity. The economy of Australia can be determined as one of the major mixed market structure. Australia has been experiencing AUD$1.62 trillion as GDP in the year of 2015. On the other hand, the overall wealth of Australia is approximately AUD$6.4 trillion. Australia has also made a mark simultaneously in case of import as well as the export. As a result, Australia is supposed as the 19th chief exporter and 19th major importer (Australia.gov.au. 2016). Australia is in 12 the position as per the GDP rank and in 19th position according to the rate of the purchasing power parity. The recent GDP growth rate of Australia is 3% whereas the GDP per capita is $64,500 USD. The inflation rate of Australia was 1.7% in 2015. On the other hand, the unemployment rate of Australia was much lower. It is known that lower the rate of unemployment of an economy, higher will be the GDP growth of that definite country (Wren-Lewis, 2013, p. 68). It can be seen that the unemployment rate of Australia is 5.7% in the current year. As a result, Australia has been experiencing comparatively higher labour force and it is 11.9 million in 2016. In case of the taxation policy of Australia, it can be observed that Taxation in Australia depends upon the federal, local government and state government level. The federal government of Australia increases the revenue, which can be derived from the personal income taxes and business taxes (Smith, 2010, p. 56). Other taxes of Australia consider the goods as well as the service tax along with the excise and the custom duties. The federal government of Australia is the key pillar of the income statement and the income position of Australia. Therefore, the reliance on the federal taxation revenue can diminish the expenditure scenario and Australia maintains the vertical fiscal disparity. In the second part of the 20th century, Australia’s economic power reflects the GDP of the rest of the world (Ayres and Voudouris, 2015, p. 802). Moreover, Australia had been experiencing highest GDP per capita growth rate by the natural sources in 19th century but it has fallen in the 20th century for the overpopulation rate. On the other hand, the Australian economy has been executing nominally compared to the other economies, which has a good impact on the country’s economic growth. It is stated that Australia’s economy increased more that the expectation in the fourth quarter. Gross domestic product of Australia seasonally regulated 0.6 per cent in the duration of the three months and in this context, it has been seen that there arose an economic boom in case of household expenditure or consumption along with the greater governmental expenses (BBC News. 2016). Basis on the annual report of Australia, the GDP increased 3 per cent in the long term acquisition rate and the economists anticipate that the GDP growth rate will increase by 2.5 per cent. Governmental fiscal policy defines the total collection of government revenue (including spending expenditure and taxes) to understand the impact on the economy. As per the theory of Keynesian economics, when the Australian government has managed the level of the taxation, it in turn controls the aggregate demand and the economic performance level. In spite of this, fiscal policy can influence the existing business cycle of the economy (Sensoy, 2016, p. 126). The two major factors of fiscal policy can control the construction of taxation, government spending in several sectors. Fiscal policy of a country can influence the macroeconomic variables such as Aggregate demand, the income distribution and the rate of savings and investment in the economy. As per the theory of macroeconomics, it can be stated that there are different types of domestic economic challenges are existing. According to the Australian business outlook, the treasury expectation of Australia depending upon the private sector investment is hopeful (Rogerson, 2015, p. 220). This concept in turn implies the Cap Ex strategy from the Australian survey report, has been decreased. Moreover, in case of the employment outlook, Reserve Bank of Australia considers the positive value of the domestic economy and thus, the empowerment of the employment rate has been increased. The two instruments such as the fragile CapEx prediction along with the natural employment rate, constructed the global outlook (Balma and Ncube, 2015, p. 156). As per the theory of Australian fiscal policy, the implication can be described as the, higher the rate of the anticipation greater will be the economic policy implication on employment rate and it will be a continuous procedure. On the other hand, it has been pointed out that Australian federal government become too desperate to construct the budget spending compared to the better economic growth. This economic growth can improve the governmental revenue. As a result, the volume of the existing budget deficit can be diminished (Best, 2016, p. 12). The fiscal policy needs to be stringent that the monetary policy of Australia can manage the situation by lowering the rate of interest. However, it is problematic to establish the effective fiscal policy by the government as per the long term policy. In this reference, it is also important that rise in the debt do not include the ratio of debt to executing GDP. As a result, Australia is familiar as the lowest ratio of debt to GDP. From the above figure, it can be seen that the governmental expenditure in Australia raised to 73652 AUD million in the fourth quarter of 2015 while the expenditure was 73176 AUD million in the third quarter of 2015 (rba.gov.au. 2016). Moreover, it can be mentioned that the government expenses in Australia was average 35479.28 AUD million to 2015 from 1959. This recorded value can be received from the statistical data of Australian Bureau. This governmental expense implies the public spending on the goods and services and it is included in the GDP of the economy. On the other hand, this government expenditure includes the adjustment of capital budgeting and taxation, rising of public spending and these generally influence the country’s economic growth (Olusoji, 2014, p. 218). The government can reduce the public expenditure to decrease the fiscal deficit. At the time of the reduction of government expenses, budget deficit will also decrease. On the other hand, during the time of the reduction of the spendings, an economy can constantly grow itself, the interest rate will be lower and the export rate will be higher and this also reduce the budget deficit (Castelnuovo, 2016, p. 305). In recession, tax rate of an economy can raises due to the lower rate of spending. As per stated that high tax rate will reduce the budget deficit. In this context, it can be mentioned that high growth rate of a country can increase the tax rate. The economic growth can be possible due to the increase in the tax revenue without increase the tx rate. In case of economic growth, the Australian citizens pay additional VAT, companies will pay extra corporation tax and workers need to reimburse additional income tax. These all will reduce the budget deficit (Cunado et al. 2015, p. 868). Selling of the bonds will raise the Australia’s debt and this annual repayments can be explained from the higher rate of opportunity cost as it needs for the future generations for the higher tax payments. The government requires borrowing from the private region. As a result, the budget deficit of the country will decrease (Borio, 2011, p. 33). Increase in the government borrowing will decrease the fiscal policy that is the government expenditure. That is the increase in the government spending. This will reflect to reduce the budget deficit. Thus, precisely it can conclude that lower the rate of the government and the higher the tax revenues decrease the budget deficit (Elizabeta, 2016, p. 178). Low interest rate refers the lower quantity of the return from the savings. This will encourage the customers to spend compared to hold the liquid money (Mandelkern, 2015, p. 257). Lower the interest rate, lower will be the rate of the borrowings. As a result, consumer can issue more loans for financing the higher investment (Meinusch and Tillmann, 2016, p. 60). Decrease in the rate of interest leads lower rate of the mortgage repayments. Thus, the households can hold more disposable income (Dept, 2014, p. 798). This rise in the asset price due to the fall in the interest rate explains the rise in the housing price as well as the rise in the wealth (Kargbo, 2011, p. 145). Reduction in the exchange rate refers that the imports become more costly. This will in turn increase the aggregate demand (Henry, 2013, p. 155). Rise in the housing prices formulate the owner of the house make wealthier. Thus, the owner of the houses is willing to spend more on the private expenditure; On the other hand, the reduction in the housing prices has an opposite result. In this context. Increase in the housing prices means that the households can borrow more capital over the increasing equity and thus, spending of the private consumption will be more (Fabrizio, 2010, p. 972). Increase in the housing price a positive influence in case of the investment. In this connection, Tobin’s q model implies the ratio of the price of the houses and the construction cost of new houses. If the rate of this ratio is greater than one, then it can be stated that the construction of this new house will be profitable. As a result, the selling price of this new house can be greater than the price of the construction. This increase in the construction of new house reflects the rise in the consumption (Jacobs, 2015, p. 548). This macro economy policy challenges assignment help is composed on the Australia’s scenario, economic performance as well as the economic outlook. To construct the assignment, some macroeconomic tools have been used. The use of Governmental fiscal policy of Australia derives the mitigation over the existing of the domestic economic challenges. Moreover, from this assignment, it can be explained the current economical overview of Australia. In the second section of this assignment has derived the impact of the budget deficit and the process of lowering the budget deficit. In this context, it can be seen that the effect of tax revenue to reduce the budget deficit. Furthermore, this study demonstrated the effect of the rate of interest and the effect of the rise in the housing price in case of the Australia’s economic activities. To describe the concept of the increase in housing price, the theory of Tobin’s q model has been discussed. Balma, L. and Ncube, M. (2015). Macroeconomic Challenges of Structural Transformation. Washington: International Monetary Fund. Borio, C. (2011). Rediscovering the macroeconomic roots of financial stability policy. Basel, Switzerland: Bank for International Settlements, Monetary and Economic Department. Dept, I. (2014). Regional Economic Outlook, Middle East and Central Asia, October 2014. Washington: International Monetary Fund. Fabrizio, S. (2010). Emerging from the global crisis. [Washington, D.C.]: International Monetary Fund. Kargbo, J. (2011). Political instability and economic recovery in Sierra Leone. Lewiston, NY: Edwin Mellen Press.